Chris P. Zimmerman, as Vice President of Scharf & Associates, managed the design and construction documents for this, $2.5 million-dollar, 14,000 square foot Community Center for the City Pompano Beach. This facility was designed to provide a multi-purpose facility for the northwest area of the City. The City requested that we design a complete facility ready for use including all the equipment and furnishings. The facility includes a 5,600-square foot ballroom supported by a full-service kitchen facility. The ballroom includes a stage, stage lighting and a complete sound system. Floor boxes have been provided at both the center and rear areas to allow the mobile lighting and sound controls to be positioned at various locations throughout the facility, allowing for the flexibility of the space. 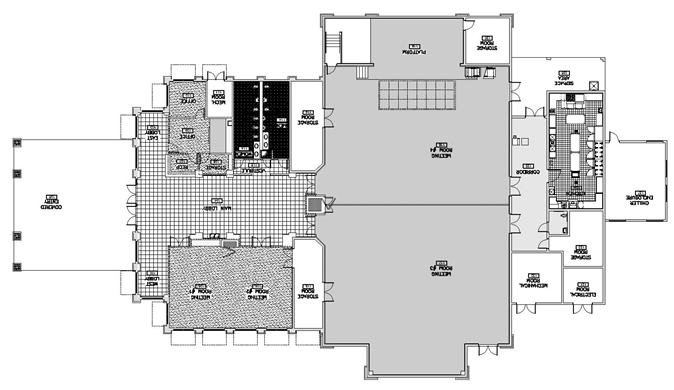 The facility also includes two smaller meeting rooms, lobby and support offices. This facility met all the needs of the City of Pompano Beach and was unanimously approved by the City’s Architectural Appearance Board.